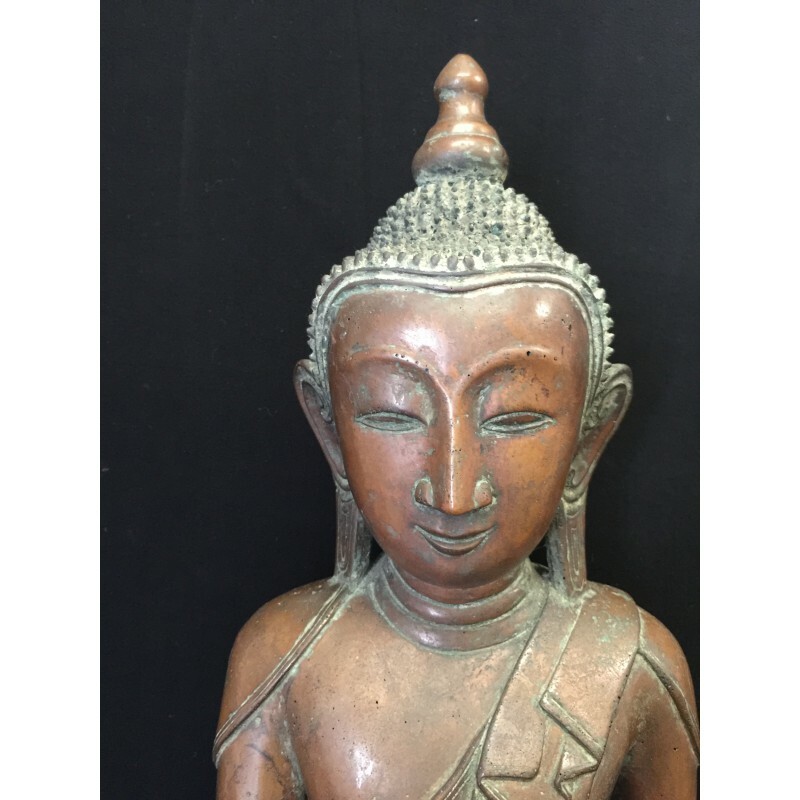 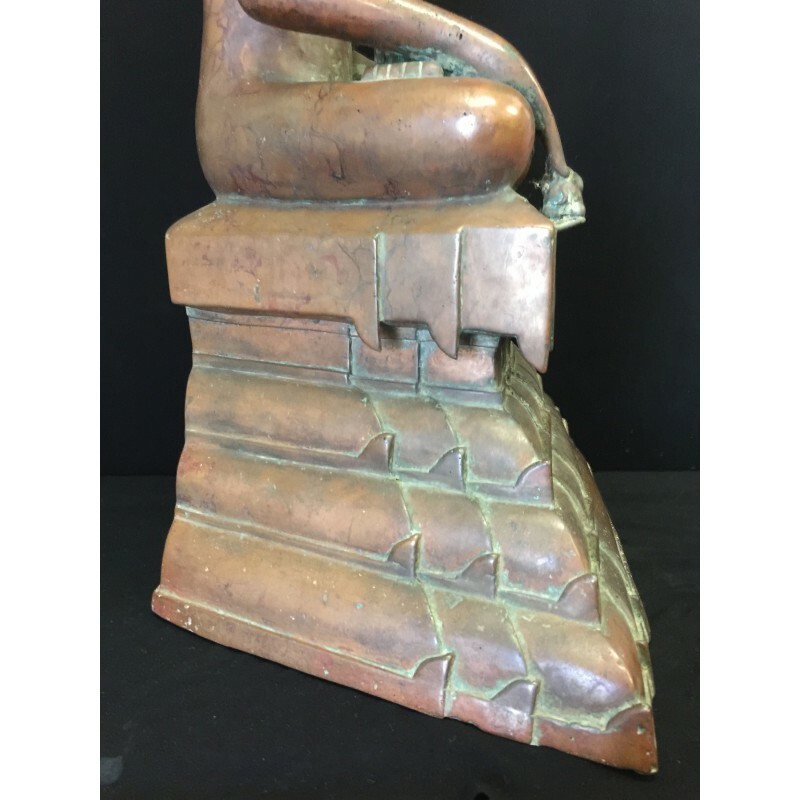 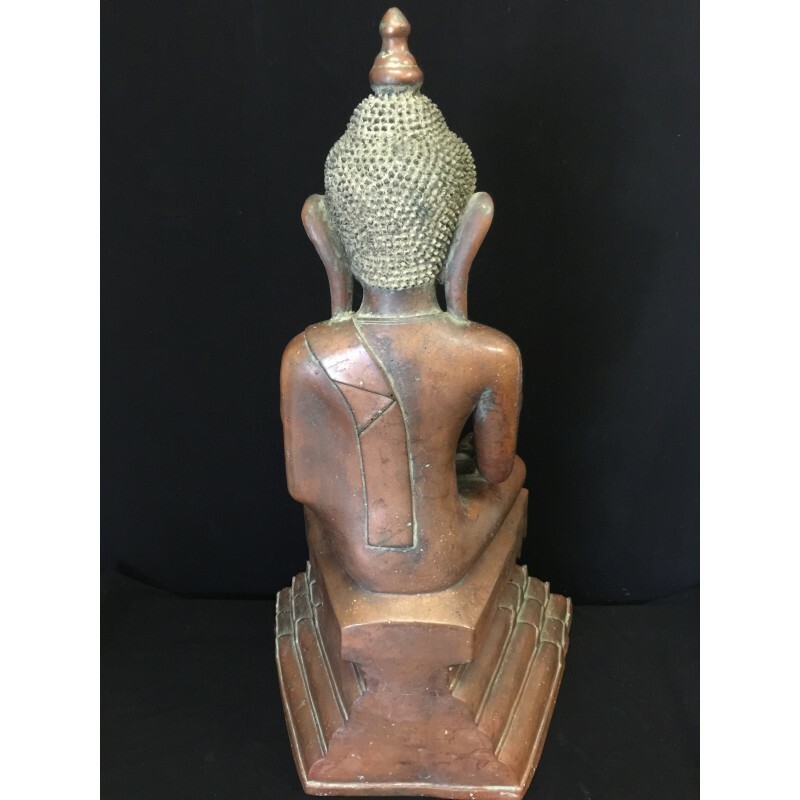 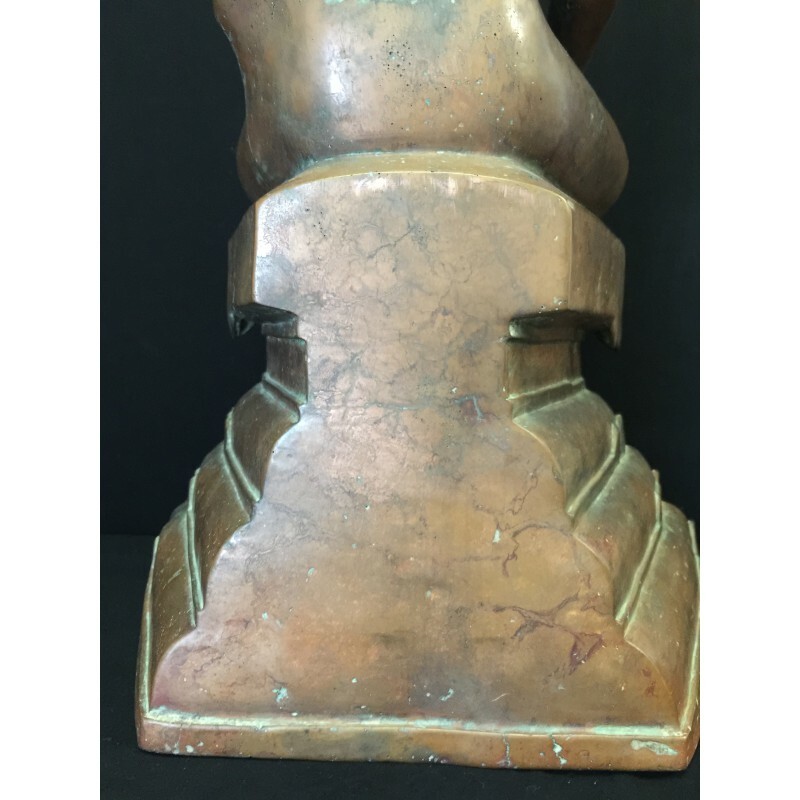 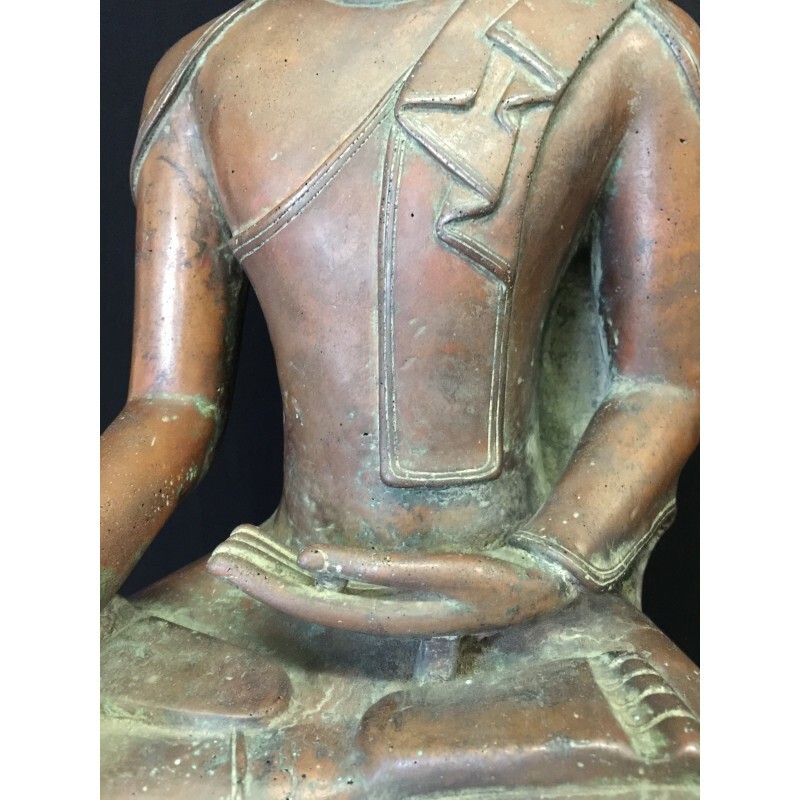 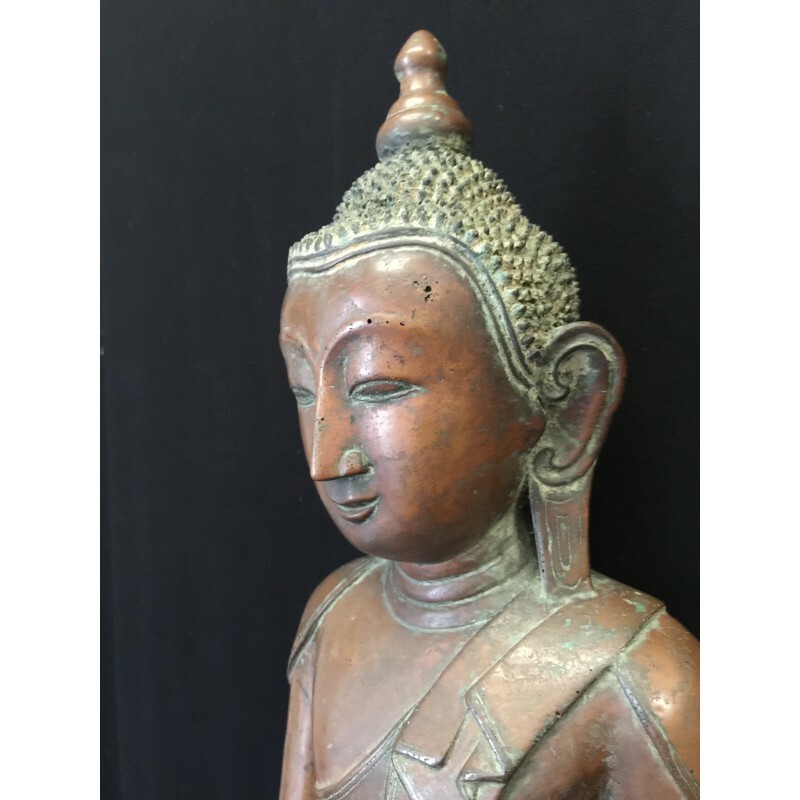 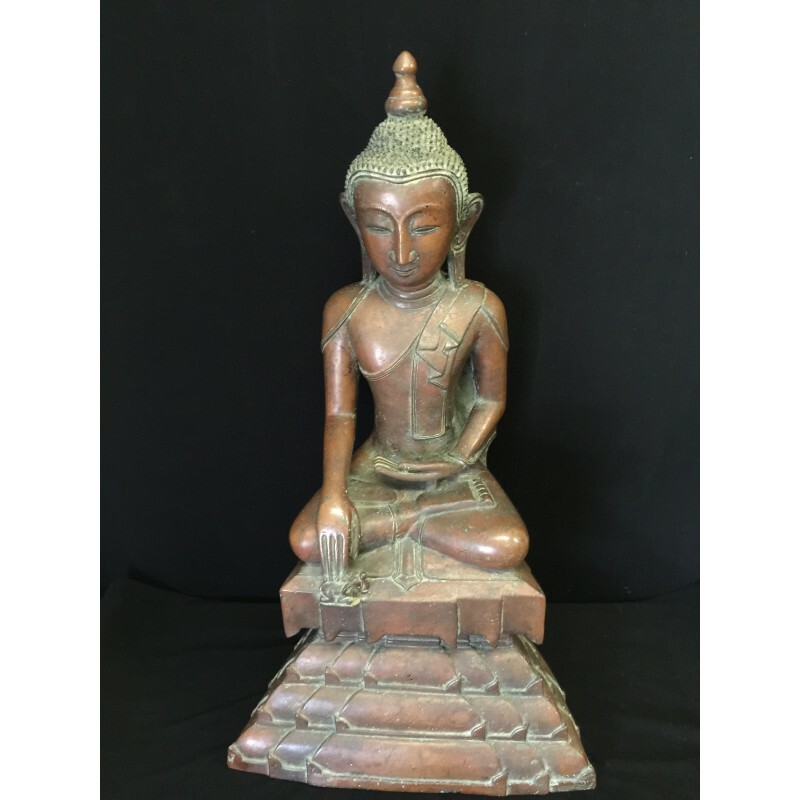 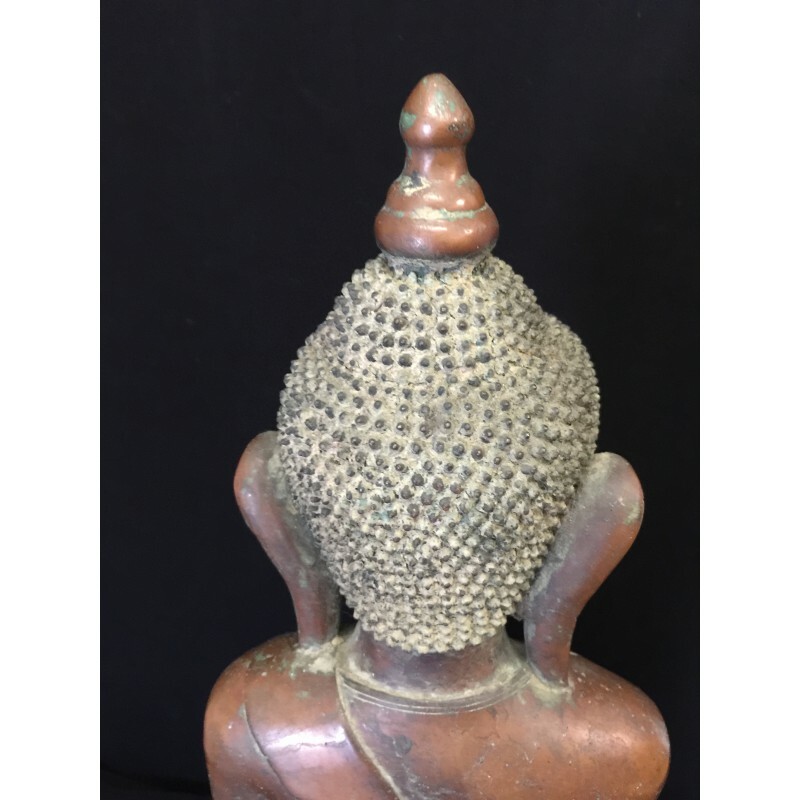 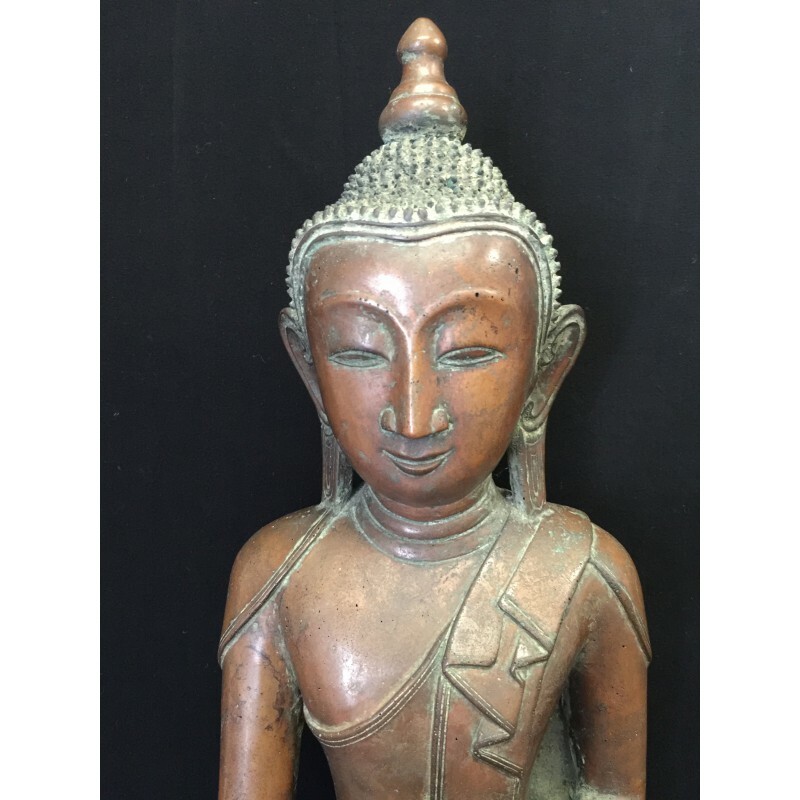 Larger, very rare and extremly beautiful sitting shan bronze Buddha from Burma. 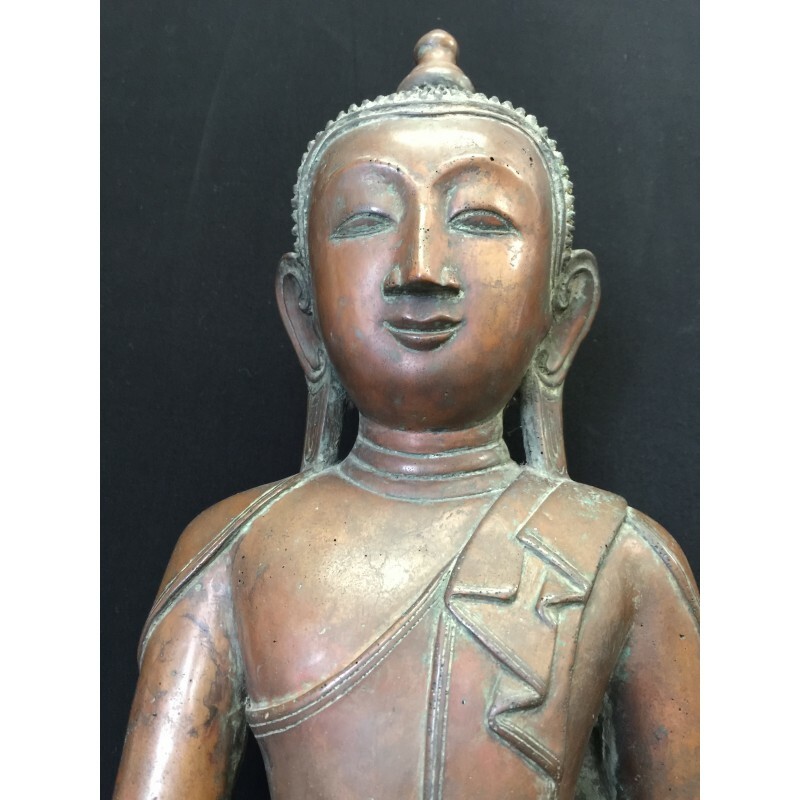 Also called Tai Yai. 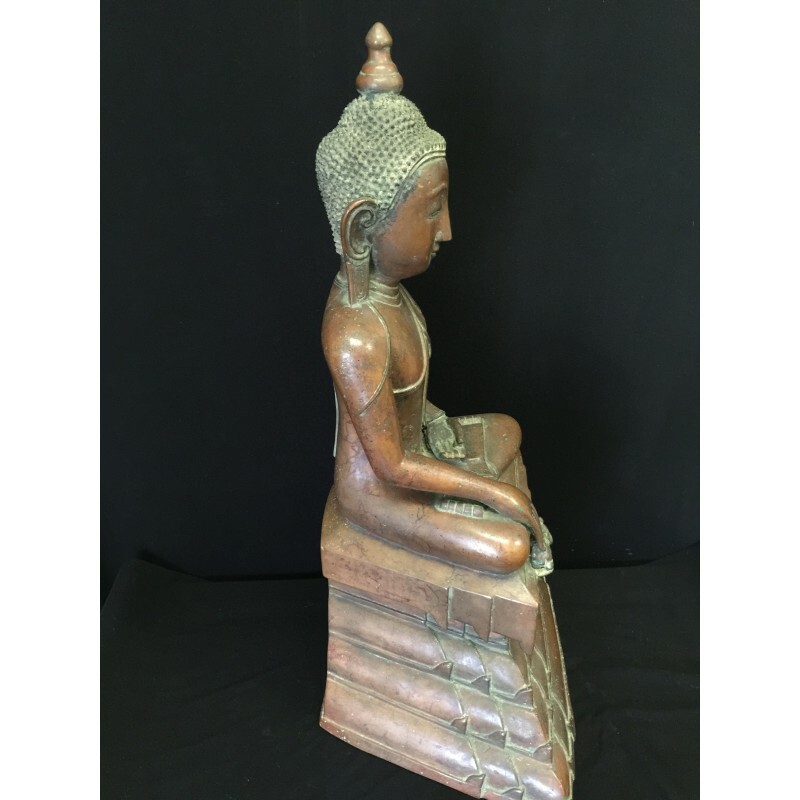 This Buddha is sitting on a very large throne in a calling Earth to witness posture. 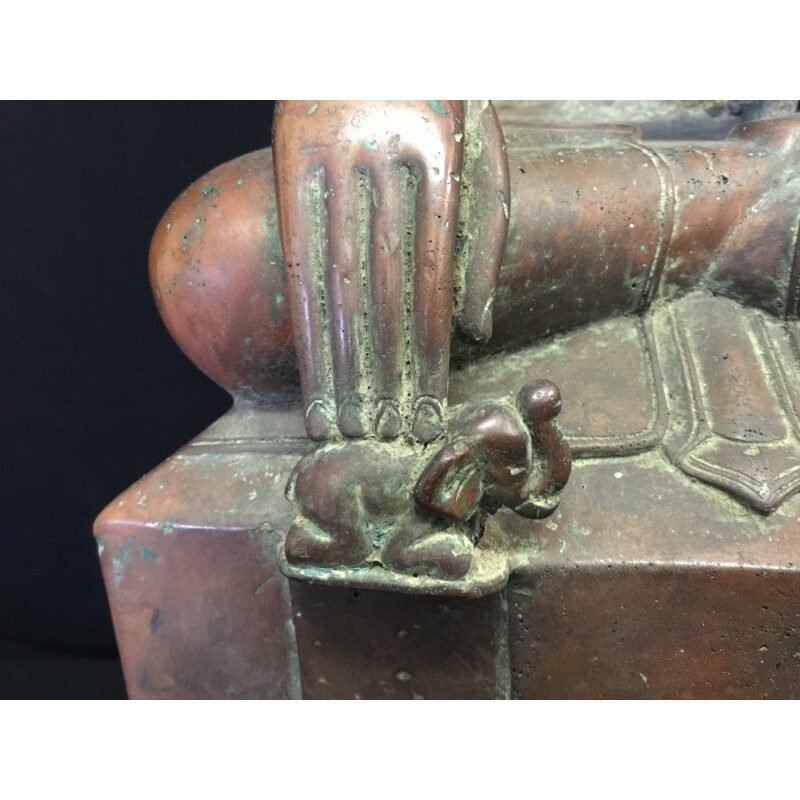 But his right hand fingers are resting on top of a small elephant. 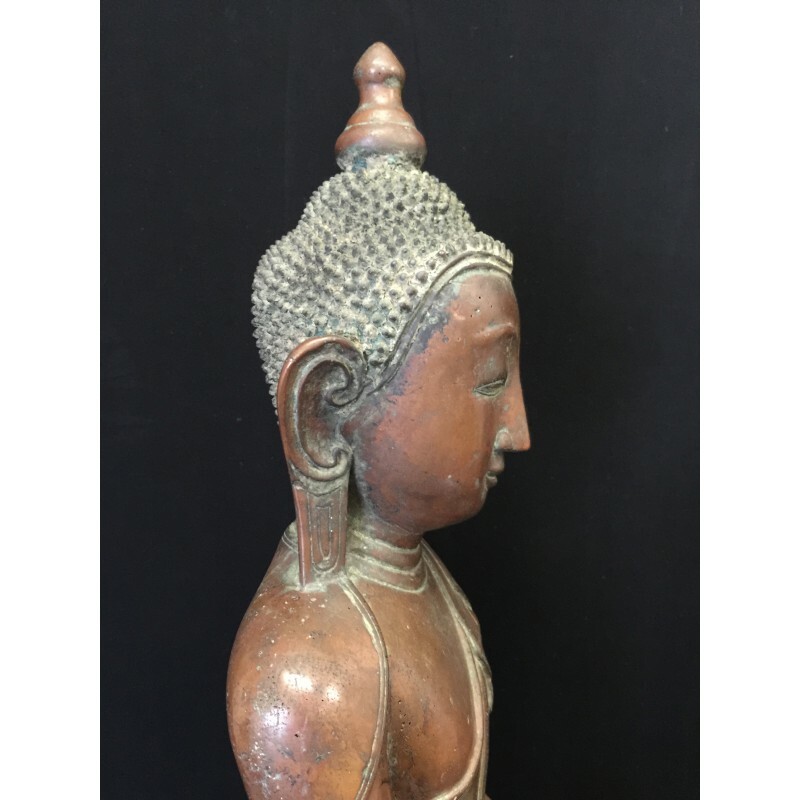 His oval face has a serene expression, the hair is peppercorn styled and at the top rises the usnisa (flame) shaped as a stupa. 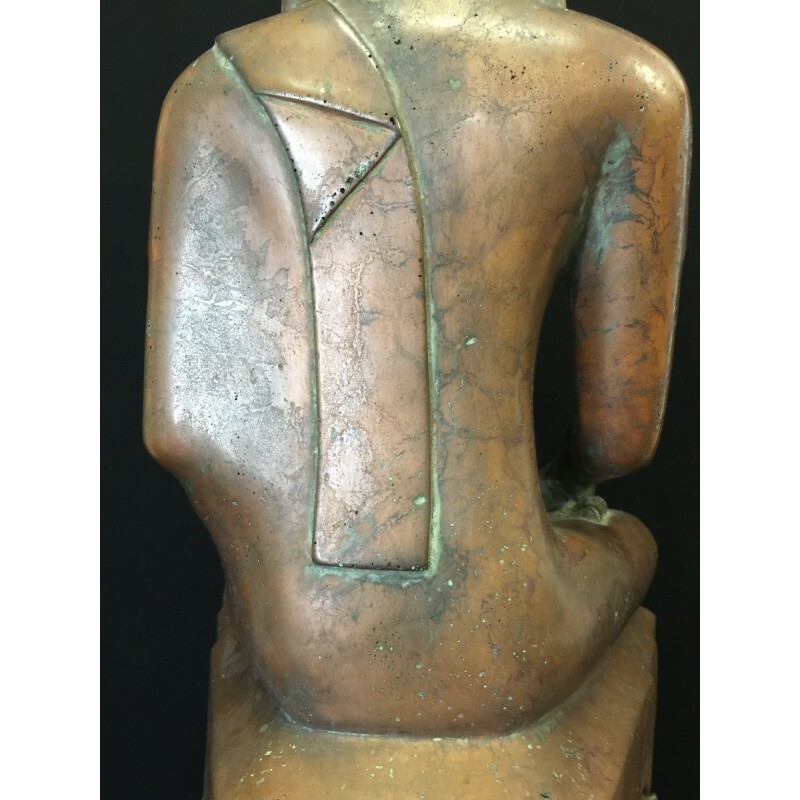 The robe is quit simple, covering both shoulders (normally the robe is only covering left shoulder), and the ears are going all the way down to the shoulders. 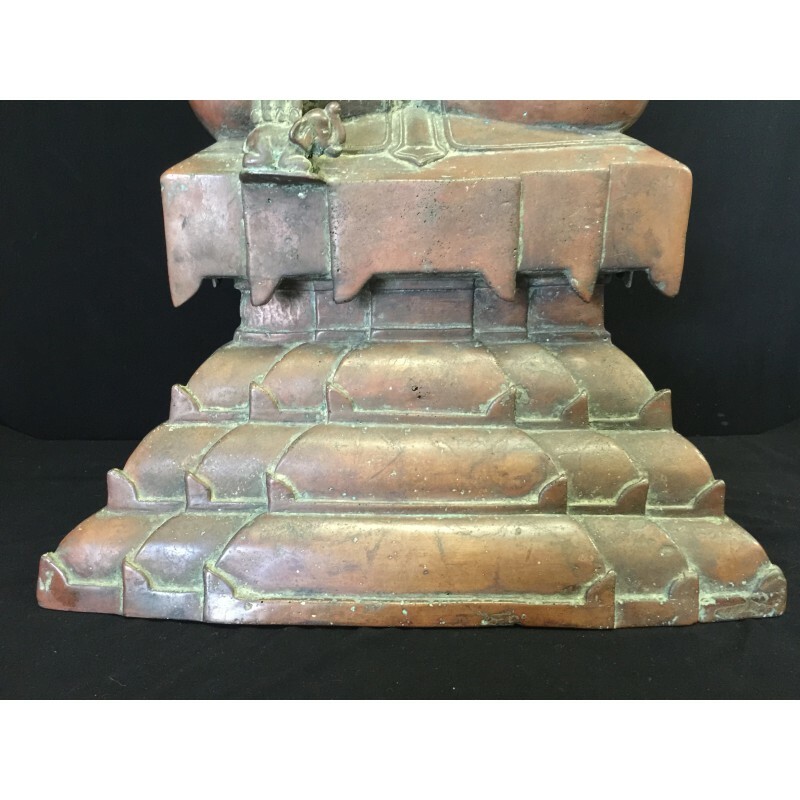 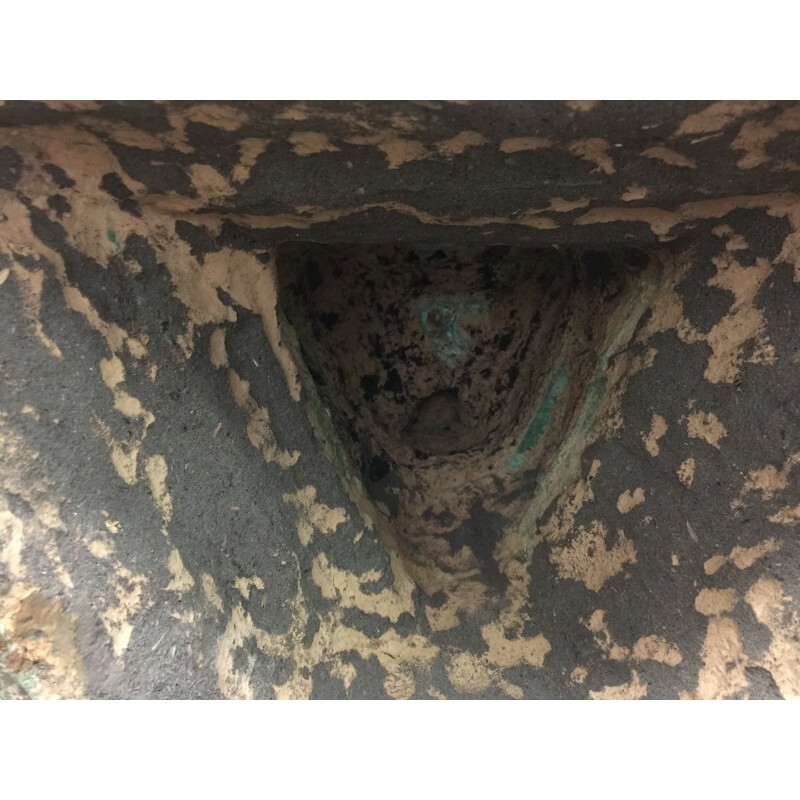 The bronze is light brown with few dark greenish spots.. 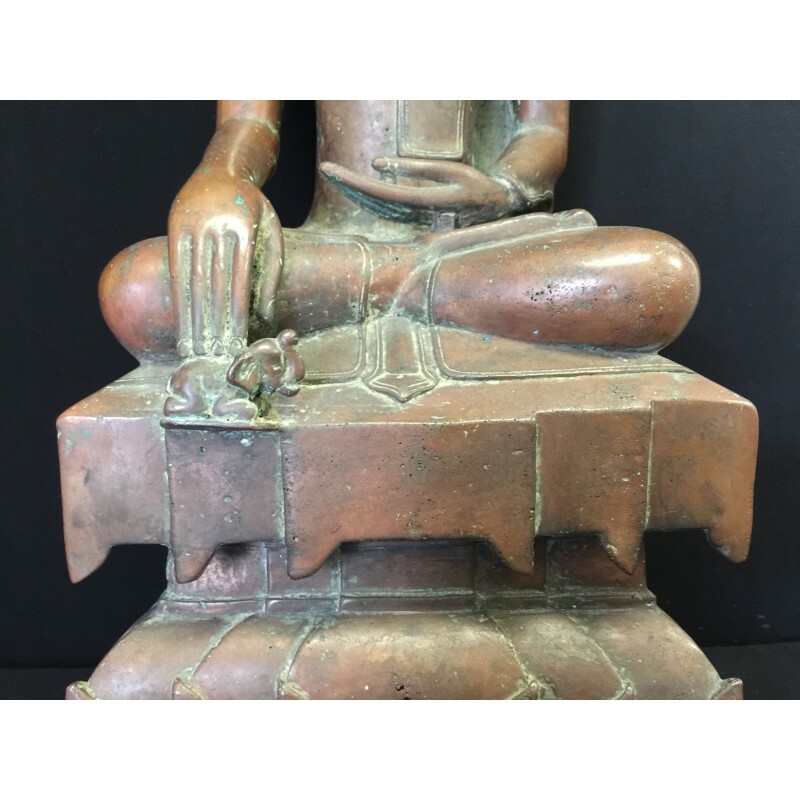 The Buddha is in a excellent condition. 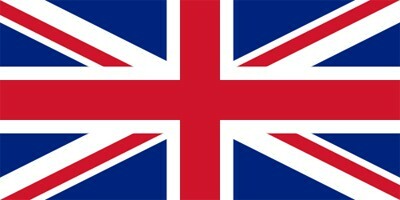 A collectors item. 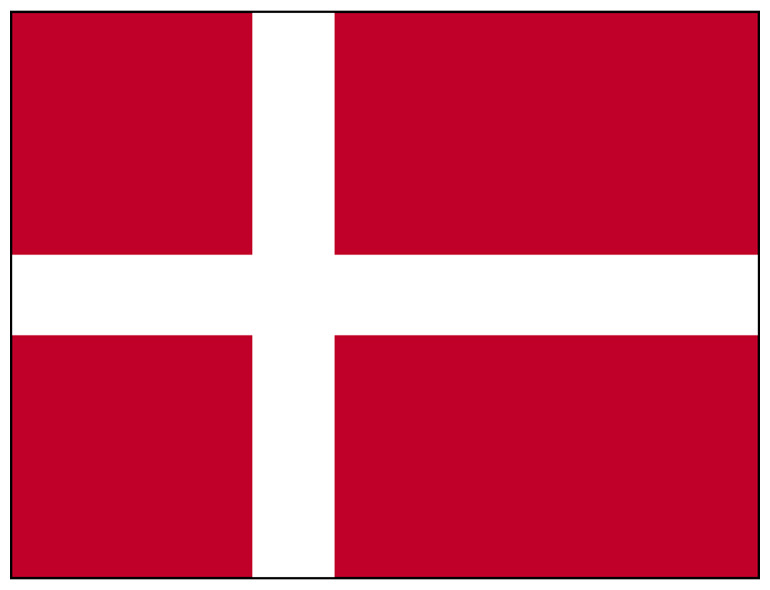 39 500,00 kr tax incl.